You moved to a new home, a beautiful new place to call your own and where you’ll live for the years to come. You start making a couple of changes here and there, start warming up your new home but you notice that the floor is looking odd, it might be that it’s weathered after years of use, it could be stained, scratched, or in the worst case it could be breaking due to humidity and deterioration. Whether you want to fix your floor to improve your home’s looks, or because the damage is too significant and requires a complete rework to restore your house, you’re going to need a new set of flooring. Although there are several options for floor renovation, you might want to check wood floors as one of the best choices for a new home. In this article, you’ll find some of the reasons why hardwood flooring should be your first option and what kind of flooring to pick. From the dozen choices you have for flooring, ranging from plain concrete to ceramic tiles, hardwood flooring is one of the most flexible and accessible options for almost any part of your home. With different materials and looks, hardwood flooring is an excellent choice to renovate your home and give it an entirely different look. If you want your house or apartment to look like a traditional home, a cozy place where you feel welcomed and warm, then the best choice is the rustic look of hardwood. 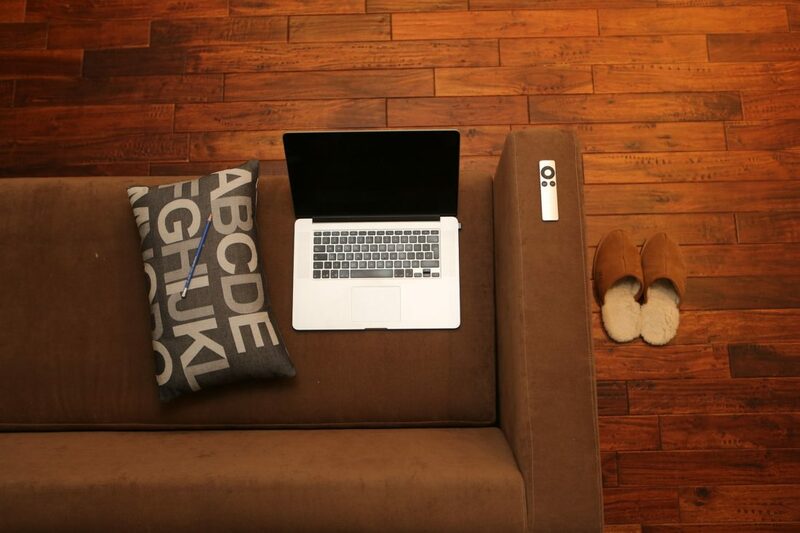 Unlike expensive ceramic tiles or dull looking concrete, wood gives a sensation of warmth and friendliness to any home. They’re natural resources that look fantastic on every house, matching with anything you may buy and will age marvelously with time, mildly changing its color depending on the type of wood you choose. A concern most people have about wood is that it doesn’t last as long as other flooring materials due to its relationship with water, heat, and humidity. However, engineered wood floorings are not simple wood planks laid in the floor. They’re layered sets of narrow wood planks that undergo several treatments to withstand all sort of use, and they can last up to 30 years in perfect conditions if you protect and give them proper care. Flooring like Kahrs Engineered wood is sturdy and capable of withstanding seasonal changes, adapting to humidity changes and contact with liquids, becoming one of the most durable materials for flooring. Although you might need professional assistance to install your hardwood flooring if you’ve never installed one before, the time and effort it takes to install this floor are much quicker and more comfortable than any other kind of material. Moreover, in the event of an accident that your floor breaks or deteriorates, it’s much easier to take a couple of planks and change them than to change a whole slab of concrete or other material. If you consider the price of hardwood flooring over other floor types, you might think it’s slightly more expensive or the same cost as different floor types depending on where you live and local deals. However, hardwood flooring is a substantial investment that will help you sell your house in the future, as potential clients will love the look of your home and will appreciate not having to renovate the floors since they already have high-quality flooring. The final piece of advice regarding hardwood flooring would be to choose engineered wood over solid planks to get the best deal for your money. Engineered wood is the best option available as it’s easier to install, fix and it has extended durability over the solid planks. The quality of the wood floor will improve your house look, price, and warmth, making it more like a proper home that everyone will love. You can rest assured that your floor will look amazing under any circumstance and that it will far outlive any other sort of flooring that you could choose. With hundreds of different choices of wood, finishes, and designs, wood flooring is the best option for your home renovation.